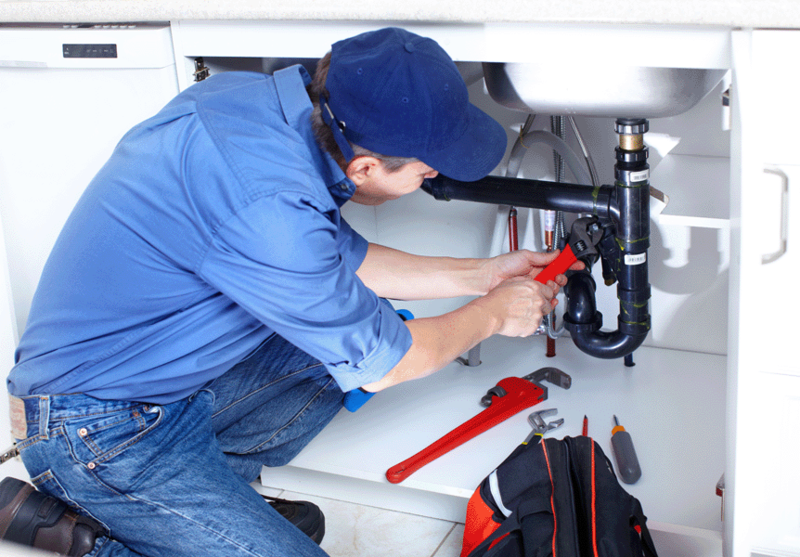 Why LA’s Most Responsive Plumbers Chose FieldSurf’s Plumbing Software. Mr. Speedy Plumbing & Rooter, Inc., a leading California plumbing contractor with hundreds of commercial and residential customers has been using FieldSurf plumbing software for over a year. And the software has completely changed the way the company does business. The company has become more efficient, the daily work load has been significantly reduced, paperwork is reduced or almost completely eliminated, and the company’s employees love FieldSurf. Let’s take a look at the various departments at Mr Speedy Plumbing, how they use FieldSurf plumbing software, and how they like it. FieldSurf makes the dispatcher’s job much easier than it ever was before. The dispatcher always knows where each field technician is at all times. FieldSurf has a visual calendar schedule, so the dispatcher can see at a single glance which time-slots are assigned and which ones are available to be assigned. FieldSurf’s GPS feature shows on a map exactly where each technician is located in the field at any time. When a new service call comes in, the dispatcher can see which technician is closest to that location and can assign him to the new job as soon as he is done with the current assignment. And dispatchers love the click-and-drag feature of FieldSurf: rescheduling can be done with a single action. Mr Speedy’s dispatcher loves the way that the program automatically creates a new Invoice each time a Work Order is created – no more forgetting to create an Invoice when you create a new Work Order. The technicians’ job is now much easier with FieldSurf. Technicians get instantly advised of their next job assignment by SMS text. They can upload pictures of the job – before and after – to the Work Order. This helps the customer and his/her record keeping, and also allows Mr Speedy’s management to consult with its technicians in the field and provide creative solutions to the problem/s facing the customer. Mr Speedy’s technicians also love the way FieldSurf’s plumbing software communicates between the office, the technician and the customer, advising everyone about arrival times, arrival delays, customer delays, and keeps everyone on the same page at all times. And the technicians love the electronic invoicing function of FieldSurf: no more invoices in triplicate, no more waiting around at the end of the day to see the accounting department and hand in the invoices, and the customer receives his invoice instantly, so technicians can be paid sooner on completed jobs, without having to wait for the accounting department to submit invoices and get paid. The department’s work load is significantly reduced as customers are billed instantly by the technician on completion of the work. FieldSurf reduces or eliminates paperwork, eliminates duplicate Invoices and duplicate Work Orders. The Accounts Payable department can instantly see which accounts are now past due and can take appropriate action. And FieldSurf integrates seamlessly with Quickbooks: simply import your Quickbooks data into FireldSurf and you are up and running on the first day. The accounting department loves this. Total hours worked for each technician are calculated automatically, significantly reducing the time necessary to calculate payroll for any period. FieldSurf automatically calculates payroll for each technician based on hours worked plus any commission due on sales. FieldSurf also provides updates and reminders on everything from Workers’ Comp insurance to fleet vehicle registration. They always know exactly what inventory is in the warehouse.FieldSurf also tells the warehouse department which techs have what equipment. And most importantly, FieldSurf prevents Mr Speedy from ever running out of product, parts or supplies. FieldSurf always informs the warehouse department when product numbers are running low, and advises the company to reorder before running out. “I love FieldSurf because my people love it. It has made their job easier. We have almost entirely eliminated mistakes or problems with scheduling, dispatching & arriving at job sites. FieldSurf gives us everything in writing, and we can refer to any information about any job at any time. “With FieldSurf I know exactly where each technician is, what jobs are being worked on at any given moment, and which jobs have been completed. I can instantly communicate with any/all of my employees through the system. “As a management and financial reporting tool, FieldSurf is unsurpassed. I can instantly tell which technicians are producing/selling the most/least. I can calculate the net cost on each job with a few clicks, and always know which jobs are making me money and which jobs are costing me money. I can also tell in real time what my sales have been for the past week, month or year, and how sales compare with previous periods. “Inventory management is a snap with FieldSurf. I always know exactly what equipment I have in my warehouse and which technicians have what equipment in their service vehicles. “Accounting and reporting are also a cinch with FieldSurf. I can always instantly see which accounts are paid and which are still unpaid. I don’t have to contact the accounting department to ask them to generate a report on sales or accounts receivable. I can access those details instantly, and the accounts payable department can access the same information and take appropriate action on unpaid or past-due accounts. “As the boss, I always need to know where my business stands at any given moment. FieldSurf gives me real-time information about the status of my business at any time during any period. Because I can now always know exactly where my business stands in real time, I can make faster and better-informed decisions. “I also love FieldSurf because it has greatly reduced the amount of time we spend in meetings. With FieldSurf, staff meetings (and paperwork) are drastically reduced as everyone has access to the system, anyone can look at it at any time, and we can generate real-time reports so we know exactly what’s going on in every department of our business.